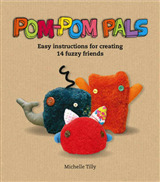 Cute rabbits, dinosaurs, finger puppets, felted mice, and knitted cats, tigers, donkeys and monkeys come alive in this must-have book for sewers, felters and knitters. These cutest ever monsters and creatures make the ideal soft toy. Create mementoes and heirlooms that will be cuddled forever. Simple and easy to make these projects include setting up, materials and basic techniques. All the creatures are aimed at children from baby to 10 years old. But some are so adorable that grown-ups and grandmas love them too! 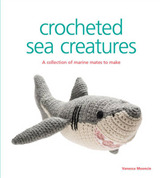 If you want to stitch or knit yourself a troupe of quirky new friends, then this book contains all you need to inspire you to create them. 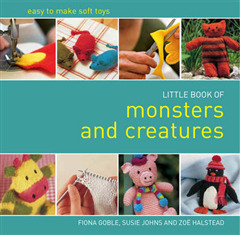 The cute monsters and creatures in this collection are made from easy to sew fleece, fabric, fun felt and recycled sock and gloves or simple knitting. 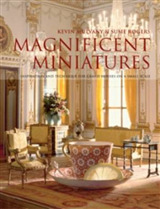 The monsters and creatures are fabulous and adorable gifts. Their characters make them delightfully appealing and the soft fabric makes them cuddly. You can make a whole host of characters, all with different personalities. 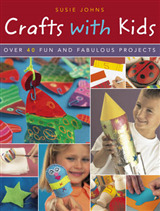 There are plenty of ideas for body colours and facial expressions and lots of step by step instructions. 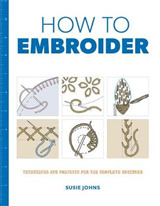 Basic equipment and techniques are included.